Red is a color, which is surprisingly easy to create in a dish, yet I often find that our food is barely red. Am I wrong? We have so many ingredients with strong red colors, such as strawberries (of course I had to list them first), raspberries, grapefruit, blood orange, water melon, cherry, pommegranate, cranberry, rhubarb, currant, tomato, red bell pepper, beet, red cabbage, red onions (scallots), reddish, red beans, chili, and cayenne pepper to just name a few. Why is it that we don’t make these bold dishes in red? Are they too scary? 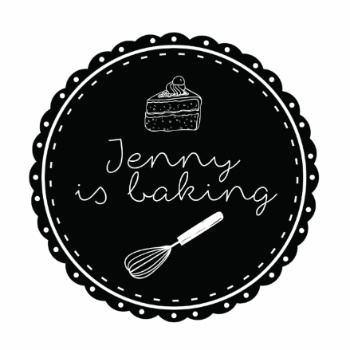 I am telling you, the flavor is just awesome! Yes, you can make the pancakes plain and yes, I have made them plain in fact many times. 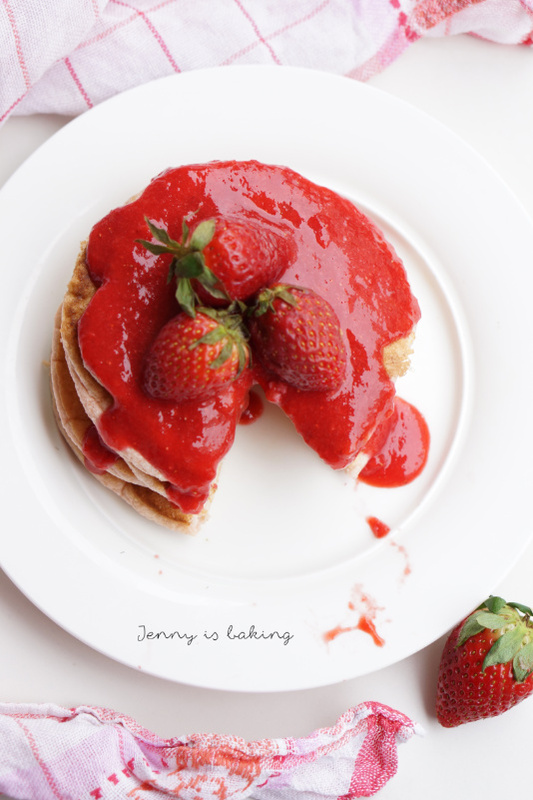 But once I started thinking about making these pancake with an additional strawberry flavor, I was sold. I am sure, so will you. Everything is natural, there is no artifical food coloring involved. Just dig into them after stacking them high, you won’t regret it. Ah, I wish I could pass on this explosion of flavors through the screen! Puree the freshly washed and hulled strawberries, set aside. Separate the eggs and beat the egg whites to meringue with a mixer. Be sure that the bowl is grease-free. Adding a pinch of salt after beating for a minute also helps to stabilize. Usually takes about fives minutes, meringue should form stiff peaks. Mix the egg yolks with the milk, two tablespoons of sugar and vanilla extract, no need to wash the mixer for this. The texture should be fluffy, takes about two minutes. Add the flour and about two tablespoons of pureed strawberries. If you wish to increase intensity of color, add a bit of beetroot juice and just mix until combined. Fold in meringue with a spatula. Be gentle and try just to mix until everything is incorporated. Fry pancakes in butter on medium heat. 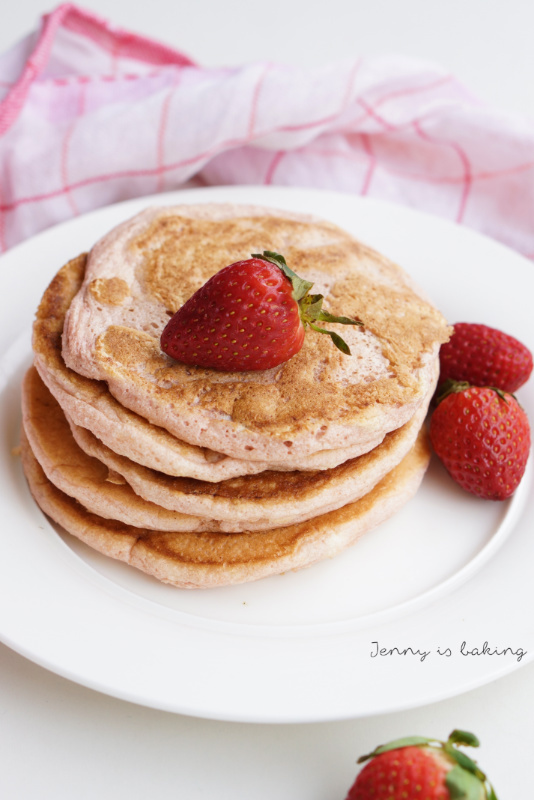 I find using a tablespoon to heap dollops of dough best and to form the pancakes nicely. Flip sides after about two minutes and fry for another two minutes. Meanwhile add lemon juice and sugar to your liking to the strawberry puree. 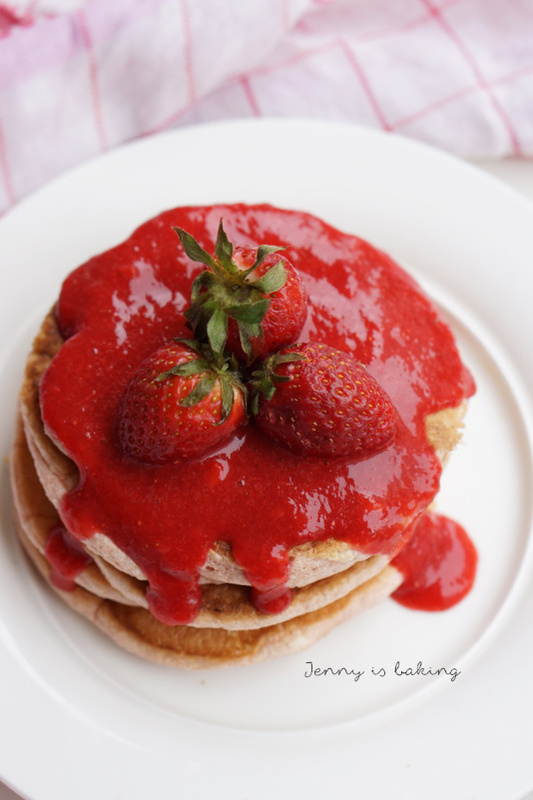 Pour strawberry puree on freshly made pancakes and enjoy! 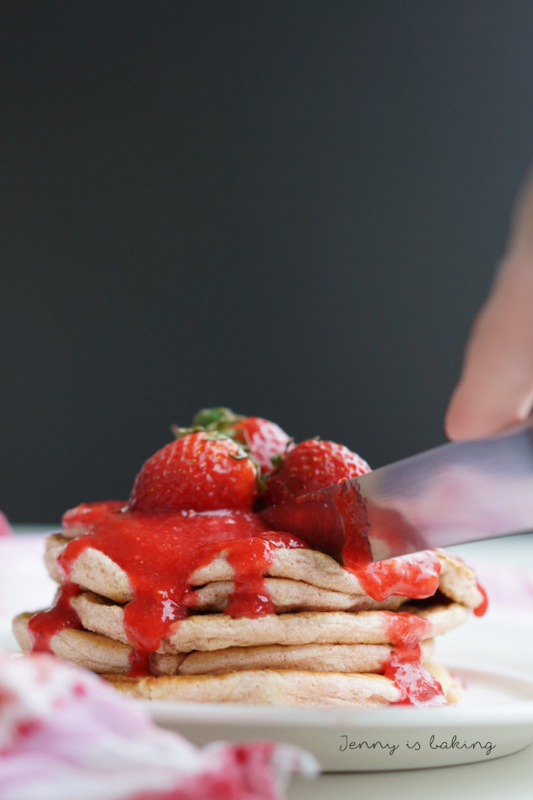 These pancakes taste best fresh and the dough cannot be made too much in advance as the meringue would deflate. Yes, you can make them plain and yes, you can also make them with other fruits instead. 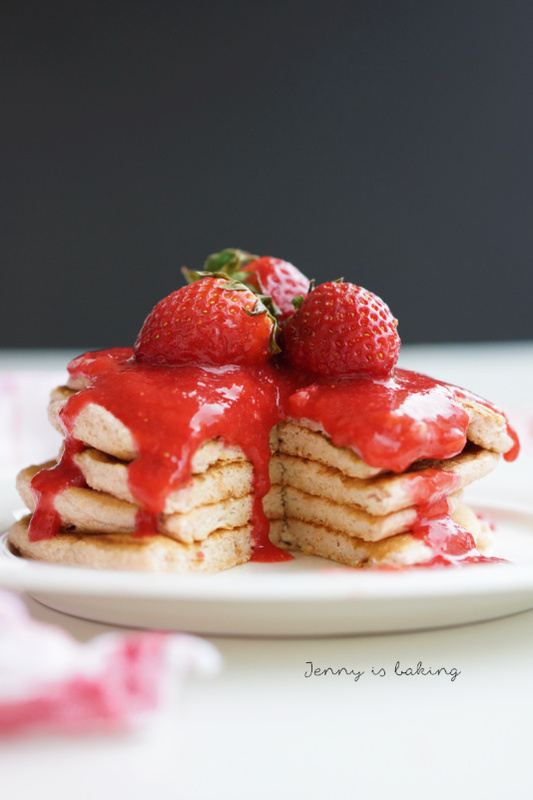 These yummy strawberry pancakes look fluffy and filled up with juicy berries in every bite. What a nice taste!